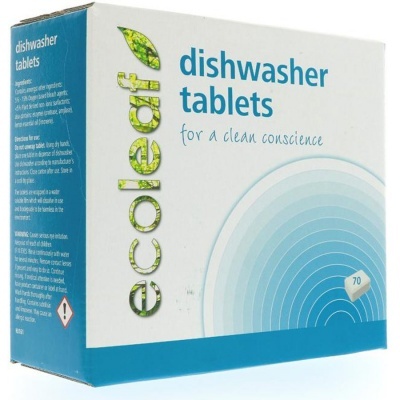 An all-in-one plastic free dishwasher tablets. These dishwasher tablets are wrapped in a water-soluble film which will dissolve in use and is harmless to the environment. For all those hands that don't do dishes, give these eco-friendly dishwasher tablets a try. Made using ingredients derived from plant extracts from sustainable sources, they're natural, biodegradable, and safer for the environment. A built-in rinse aid, degreasing action, and powerful cleaning agents will leave your glasses and dishes sparkling. 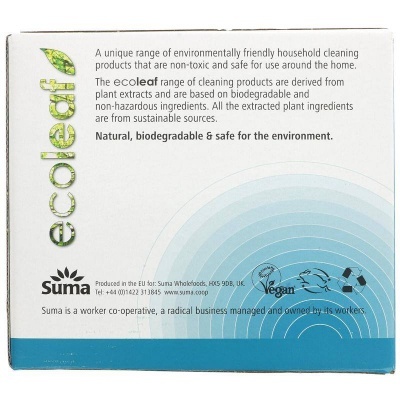 The inner film coating dissolves in your dishwasher and the outer cardboard packaging is also recyclable. Certified by The Vegan Society and by Leaping Bunny. Ingredients: Contains amongst other ingredients: > 5% - < 15% oxygen based bleach agents; < 5% non ionic surfactants; also contains: enzymes (protease, amylase), lemon essential oil (limonene).